Construction activity at the Camden South Capitol apartment building has reached street level. The last photo update from October showed a deep hole in the ground to make way for the foundation and parking garage. Camden Property Trust is developing the apartment building, which will have 276 units and is located at the northwest corner of South Capitol and O Streets at 1435 South Captiol Street. 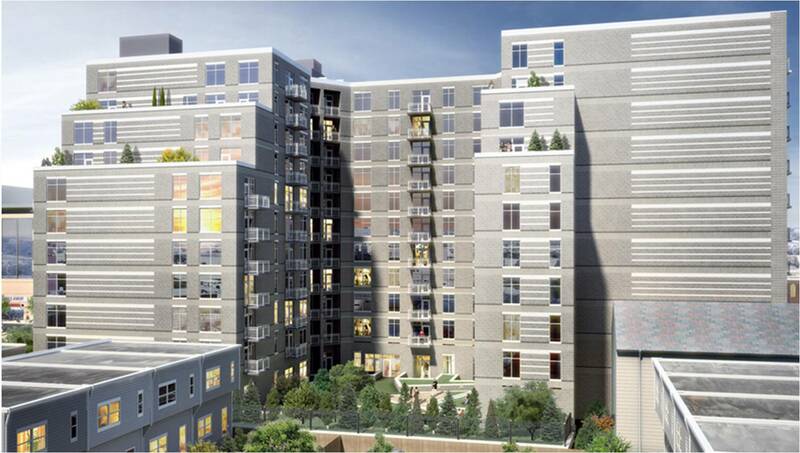 WDG is designing the project, with amenities including a rooftop pool and deck, as well as ground floor retail. 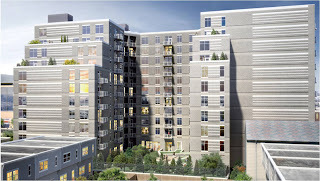 Twelve of the units will be set aside as affordable housing for households up to 80% of Area Median Income (AMI). As a part of the approved PUD application, residents of the townhomes along the unit block of O Street will have the opportunity to lease a parking space in the apartment building at 50% of the market rate for a 20-year period. After the building has reached stabilization (defined as 94% occupied), the remaining parking spaces will be available for lease by the rest of the community at market rate. In addition, residents of ANC 6D are supposed to be given preference when Camden reviews tenant applications. Leasing should begin around the middle of 2013. The back of 1345 South Capitol will have a series of courtyards to help step back the building towards the townhomes to the west. Hi, I believe by now this building is up and running already. The project seems great and the building layout is smart as well. I am currently in search for a construction software to manage my company's workflow. Do you have anything in mind? How about Procore?